Zagat summary snippet: Hailed as all around perfect with a memorable final fade, this masterful postwar noir simmers with shadowy intrigue as an alienated Cotten encounters romance and betrayal while searching bombed out Vienna for a mysterious black marketeer (Welles). NOTE: this is arguably the greatest movie ever made and it shows up in more lists of great movies than any other movie – usually in the top ten and often in the top three! 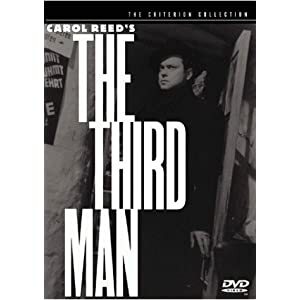 What is interesting is that it was written and directed by Orson Welles who also starred in it! But most interesting is that it was his first feature movie – all at the old age of 25! 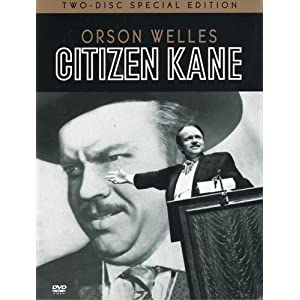 It is said that this movie resembled a bit too much the life of William Randolph Hearst who tried to stop the film from being made and then from being shown in theaters. Apparently the movie was actually booed at the Academy Awards ceremony and the only award it won was for best screenplay.